Callistemon `Slim` as the name suggests is a narrow growing native ‘Bottle Brush’ shrub ideal for planting in small confined gardens or for those wanting a great screening plant that won’t rob your garden of space. 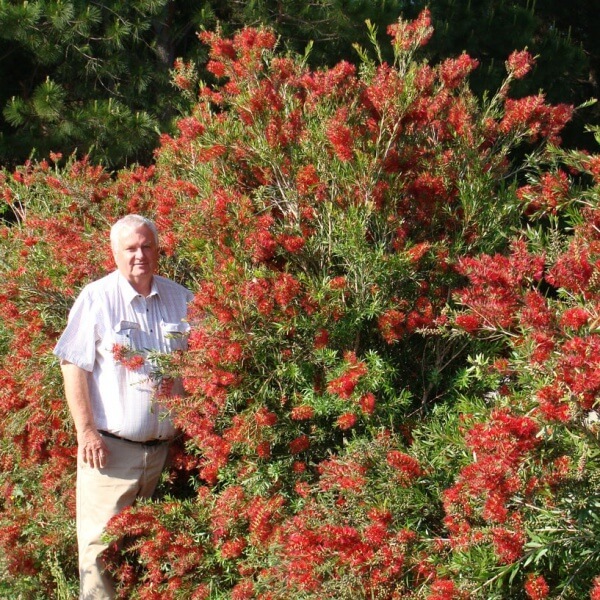 Callistemon `Slim` has dense foliage from the ground up and in spring and throughout summer are covered with large numbers of bird attracting red bottle brush flowers. 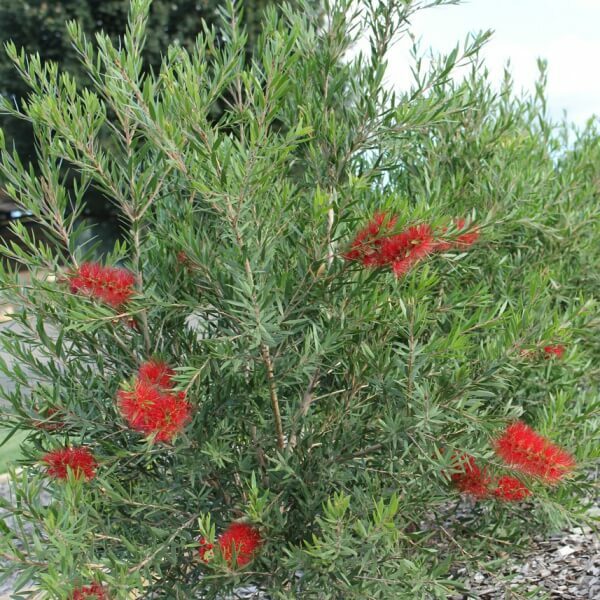 Callistemon `Slim` is very frost and heat tolerant making it a versatile plant for a wide range of climates. Slim - Callistemon viminalis `CV01` has dense foliage from the ground up making it an ideal hedge plant. With the increasing trend for suburban house blocks to be smaller finding narrow growing plants that won’t rob you of valuable space can be a challenge. Callistemon Slim ticks all the boxes with it narrow growth habit. 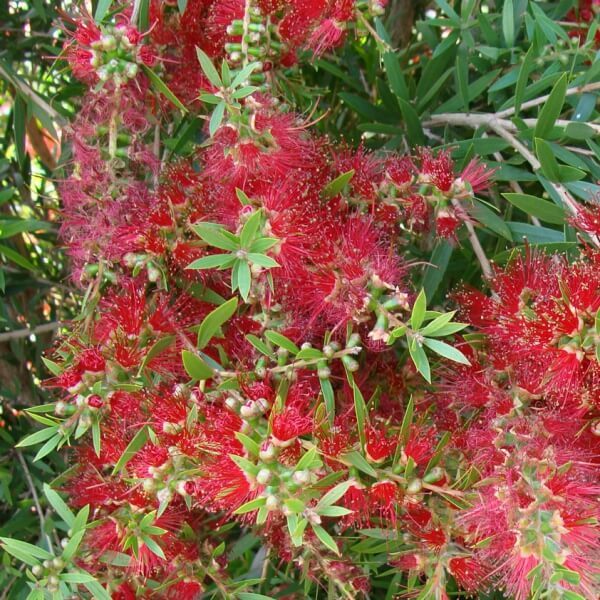 Callistemon Slim will grow from coastal gardens to inland climates and is very drought and frost hardy. 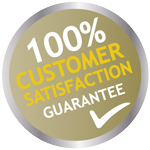 Once established it will not need any ongoing watering. The flowers will attract nectar eating birds to your garden. Full sun to partial shade. They flower better will more sun. 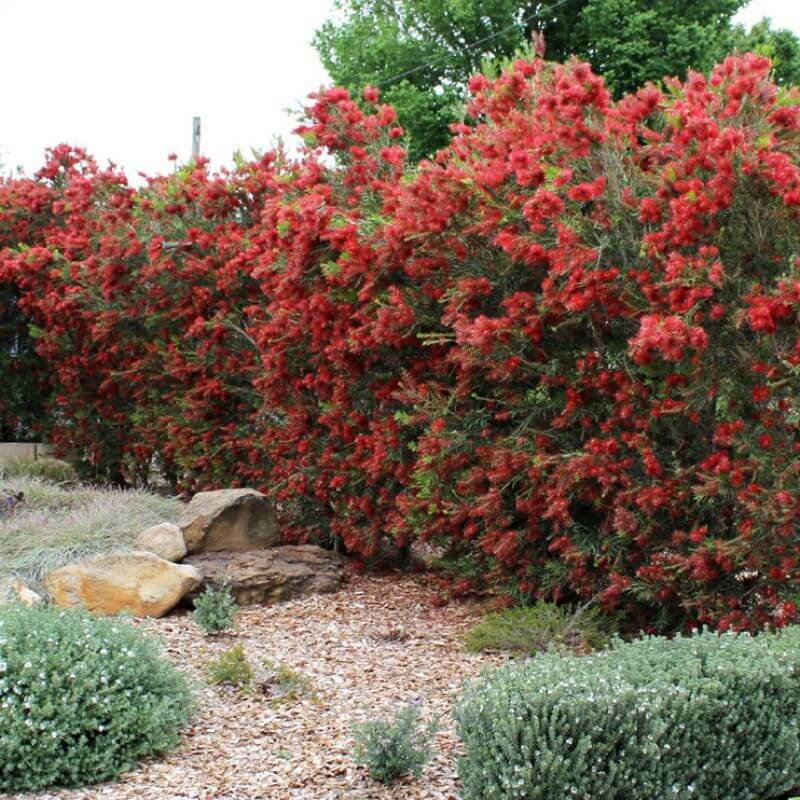 Flowers in spring through to late summer with bright red bottle brush flowers that will attract birds to your garden. For hedges plant at 1 metre centres.